have all four on the field. tao cathartic adept to make an opponent discard a card into his graveyard. 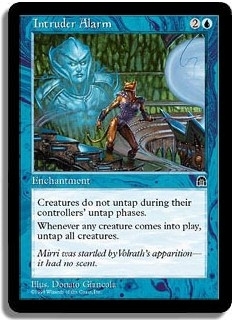 tap silver myr to produce a blue mana, then use the mana to activate puppet conjurer. 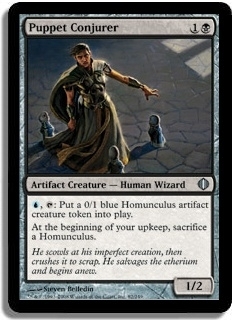 when the homonculus comes into play all creatures get untapped due to intruder alarm. repeat as many as u want to deck out a player, or players. mwa ha ha. 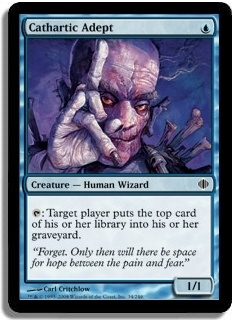 also good for making infinite homonculi to block with if u dont use deck out styles.